Interactive reporting & analytics complete with data filtering and drill down. This means 1 single report serves as 5-6 reports in total, saving you valuable time. Users can quickly and easily drill down to any level detail as needed. SBI Analytics bolts onto any data source: SAP, Oracle, Sage, Excel, Access, and more. Our new easy to use tool within SBI delivers actionable and editable data at your fingertips. Explore historical data from multiple sources. 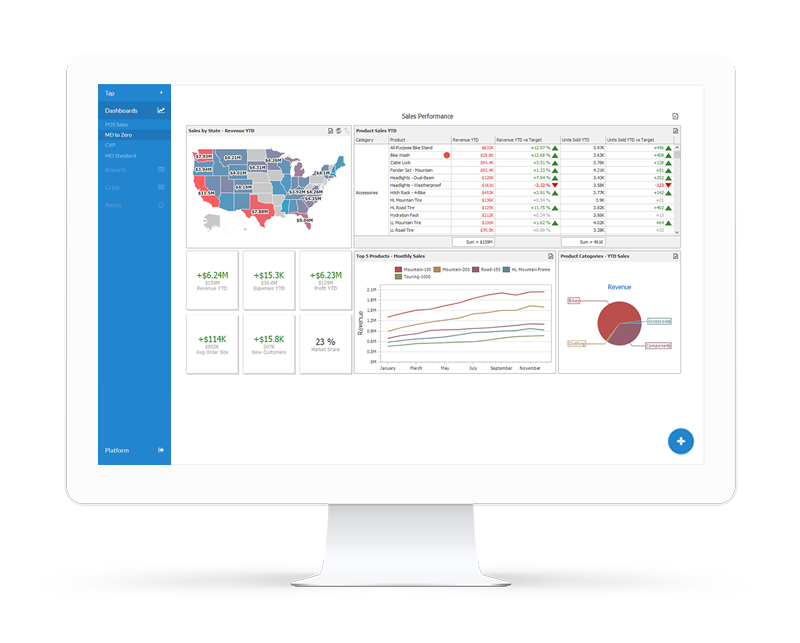 Build custom dashboards, share data, and more all with a few clicks of the mouse. Out-deliver, and outsmart your competition by better understanding your competitive advantages in the market. Drive the strategy of your organization with visual dashboards and reporting. 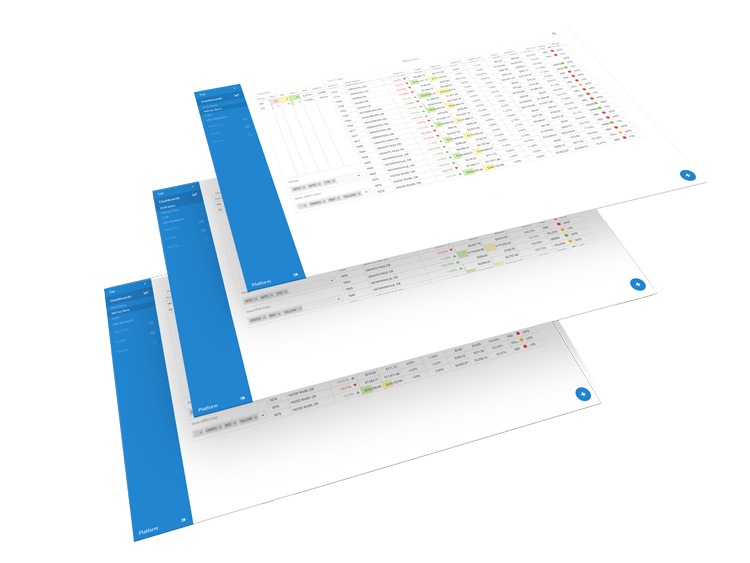 Quickly monitor what is most important to you, and easily export and share the actionable data with your teams. Smart alerts enable you to build strategic dashboards, and automatically receive updates via text, email, or in app notifications. Operating in a black box is never the right answer. SBI Analytics will help you quickly and easily dig in to data with custom reporting and trends analysis. Our dashboards are interactive and easy to navigate. Projecting trends and data into the future will help you and your team be proactive. Instead of adjusting to market shifts after the fact, let us help you drive change and growth with data you can trust.